Android M is here. During the Google IO 2015 keynote, Dave Burke, VP engineering of Android at Google, revealed that Android M will succeed Android Lollipop this year. While last year Android 5.0 Lollipop was introduced as a new design and interface - arguably one of the most important releases of Android yet for Google, as it struggled to keep a leash on the myriad manufacturers trying to create something that doesn't look a thing like the stock operating system - Android M is now Google's most powerful release, with hundreds of platform improvements. M looks to be focused on improving the stability and usability of the software as well as the core user experience. Google isn't saying what the version number or name of M will be just yet, but whatever M will stand for, we're sure it will be delicious. Here's a breakdown of the six big changes that are coming in Android M in comparison to Android Lollipop. We've seen some smartphone manufacturers already include fingerprint scanners in their devices, but with Android M, Google is looking to make the support standardized across the whole platform. To confirm rumors, native fingerprint support is coming to Android M using a standard API. That will mean that devices with a fingerprint scanner, like the Samsung Galaxy S6, can offer the same range of features. The new feature will make it easy for Android phones with fingerprint readers to support mobile payments. You can authorize Android Pay transactions, and support can be integrated into other apps, so anyone will be able to use it. With a partnership with Google on Lollipop, Samsung delivered important bits of code to the Android operating system with its SELinux security reinforcements. The new fingerprint scanner support to stock Android will now benefit the entire Android ecosystem. This would effectively restrict the access of Android phones to their owners, something which is so far only possible on some of the high-end flagships from a select few manufacturers. Left off on Lollipop, one of the big introductions of Android M is Android Pay. It will be pre-installed on Android 4.4+ devices and will be supported on devices with NFC running Android KitKat and above without opening any app. Android Pay is secure because a virtual card number is created when you register a payment card, rather than an actual card number. Using an open API, Android Pay will be available through Android's own app, or integrated into other bank apps. It will be available in the US, compatible with existing contactless payment locations, such as those that currently accept Apple Pay (a must to compete with Apple Pay's distribution) both at stores and in apps using their fingerprint. It also means that app developers will be able to use a user's fingerprint for verification. Android Pay launch will be with Android M later in the year. One of the biggest announcements pertaining to Android M is a feature called Doze, and it has everything to do with saving precious juice on those baby batteries. Battery life has been something of concern for Android users since the beginning, and it looks like Google is taking measures to improve it. Doze is a system state that will idle your device and background apps to a near-off state when you haven't used it for a while, a tactic that can make your phone last twice as long as it would if your Lollipop phone were on standby with Project Volta. With an OS like Android which supports multitasking, there's always a delicate balance between managing power and keeping applications running in the background updated. Project Volta was supposed to change the fact that Android wasn't battery efficient. Like many other occasions where Google failed to deliver with Lollipop, the company is working hard to finally push through its vision of improving the way it collects location data and other information. 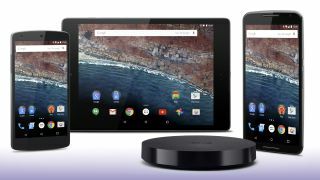 The search giant says it grabbed two Nexus 9 tablets, one running Lollipop and the other Android M, loaded the same apps and settings on both and then tested the standby power drain on the two. Apparently the Nexus 9 running Android M lasted up to two times longer than its Lollipop counterpart. It sounds impressive and we're hoping it translates to noticeably better battery life on our devices. Your device will use motion detection to realize when it hasn't moved for an extended period of time and switches to a deeper sleep which consumes much less power. And, luckily, your device won't be completely useless in this mode, as Doze still allows alarms and key notifications to come through. This comes with one sacrifice: apps don't stay as "fresh," meaning they won't be fully up-to-date with the latest information while your phone is dozing. That's a small price to pay for double the battery life, though.